Registered Agent Services | Paragon Document Research, Inc. Your registered agent is your first line of defense against default judgments. Choose wisely. As a leading provider of registered agent services for over 25 years, Paragon Document Research Inc. maintains a team of over 100 registered agents and statutory compliance experts—the state’s largest. We serve leading law firms, large and small corporations. And provide expert knowledge on every jurisdiction, unparalleled services, and innovative technology integration with all 50 states, the District of Columbia, and Puerto Rico. With an industry-leading network in markets across the U.S., our registered agent services are best positioned to comprehensively protect your business interests. Securely manage entity records, history,and real-time service of process online in one central location through our network with CTAdvantage—a centralized and secure online workspace. Maintain entity compliance—our first-of-its-kind business entity monitoring service. Proactively monitors your entities and immediately notifies you about status changes in your interested jurisdictions. 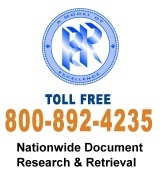 Paragon Document Research Inc. is a registered agent service provider with products and services. Count on 100 in-house experts and registered agents countrywide, and a network of thousands of correspondents, to meet your unique needs. Request registered agent services today.